(17/P103) TRENTON – Biological surveys conducted this year suggest American shad are making a strong comeback in the Delaware River, historically famous for a once-prodigious population of this important fish species, Department of Environmental Protection Commissioner Bob Martin announced today. The history of shad runs deep in the Delaware River, with the fish providing food and other essential uses to Native Americans, feeding George Washington’s Continental Army, and supporting a major 19th century commercial fishery that fed the region’s burgeoning population. But water quality problems that developed in lower, urbanized portions of the river around Philadelphia effectively created a dissolved-oxygen barrier to the age-old spawning runs. Water quality improvements, especially in the 1980s and 1990s resulting from upgrades to wastewater treatment systems, greatly improved dissolved oxygen levels, enabling shad to gain access to the upper river and its tributaries. 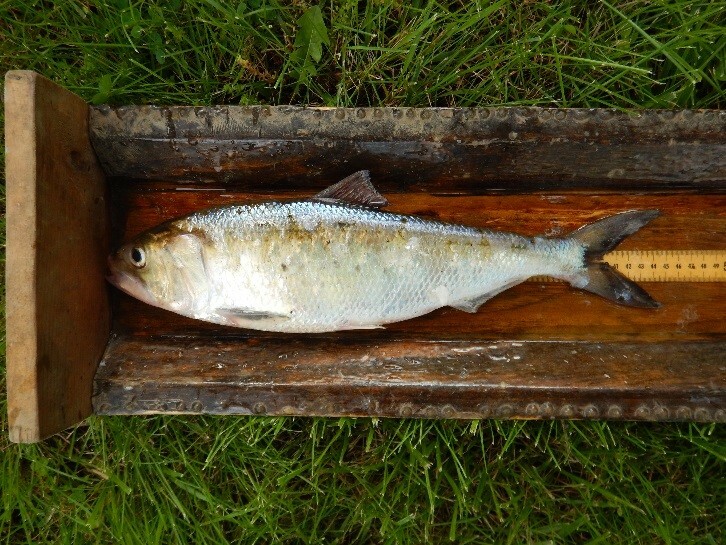 The closure of the commercial shad fishery in the ocean by state and federal fisheries managers more than a decade ago in response to all-time lows in shad stocks appears to be another significant contributor to the rebound of shad in the Delaware River. “Building on our encouraging survey results and ongoing conservation measures, the DEP and the New Jersey Division of Fish and Wildlife will continue to work on local and coastwide management strategies that will further the recovery of shad, with the hope of restoring numbers to historic levels,” said Division Director Larry Herrighty. The American shad is the largest member of the herring family, weighing from four to eight pounds at maturity. They spend most of their lives in the ocean but return to rivers and their tributaries to spawn. The species’ range stretches from the St. Lawrence River in Canada south to the St. Johns River, which flows from its mouth at Jacksonville south through much of eastern Florida. Adults are capable of swimming some 2,000 miles from ocean feeding grounds to rivers to spawn. They may travel upwards of 200 miles in these rivers to find suitable spawning habitat, usually in rocky or gravelly shallows. Females can release hundreds of thousands of eggs. Juvenile shad spend several years in the ocean, returning to river systems to spawn when they reach sexual maturity. The fish once supported massive commercial and recreational fisheries in rivers along the Atlantic coast, especially the Delaware River. But, in addition to water quality problems, dams built to generate power, for mills and for other now-obsolete purposes greatly reduced their ability to access potential spawning habitat in the Delaware’s many tributaries. The DEP has been working with numerous partners to remove dams along Delaware River tributaries, with efforts focused on the Musconetcong River as it flows through Hunterdon and Warren counties. Steve Meserve, who runs the Lewis Fishery in Lambertville, Hunterdon County, works with the DEP in reporting spring shad runs at this critical point in the Delaware. Netting surveys he conducted in the spring resulted in hauls totaling 1,262 shad, the ninth best in 92 years of reliable record-keeping results and the best since 1,257 were netted in 1995. Meserve tracks shad as part of a business that sells the fish to people who wait along the riverbank to buy fish he hauls in. His family has been fishing shad in Lambertville since 1888, and is the last remaining operation to do so following a crash in the shad population in the 1940s and 1950s due to poor water quality in the Philadelphia area. The DEP also conducts numerous surveys of juvenile shad at various locations along the upper river beginning in late August. This year’s survey resulted in the highest totals in 38 years of monitoring. These surveys counted 24,536 juvenile shad this summer, compared to 2,664 in 2013, and 8,360 in 2016. 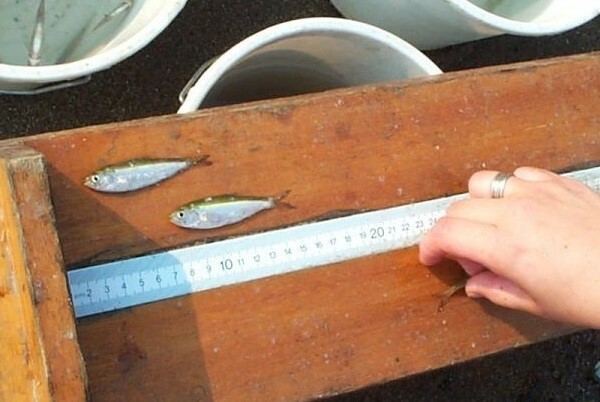 Netting hauls conducted in August at Milford Beach in Hunterdon County, for example, were so strong that the total counts of juvenile fish exceeded hauls at that location for all previous five years combined. Shad, which are very popular as a feisty sport fish, also play a very important role in the ecosystem of the Delaware River, as well as estuarine and ocean ecosystems. Shad are important prey for larger fish and other predators, such as birds. Many wildlife species synchronize their migrations to coincide with shad runs. Some shad may return to the same river system to spawn two to three times during their lifetimes. Many will die after spawning. When they die, their decomposing bodies return to river systems important nutrients that are essential to other aquatic life. The Division of Fish and Wildlife uses money from the U.S. Fish and Wildlife Service’s Sport Fish Restoration program to help fund American shad research and recovery projects. Funds for this program are generated by federal excise taxes on fishing equipment, as well as motorboat and small-engine fuels.